Why Is Massage Therapy Oakville Beneficial? There is no better way to relieve the tensions of everyday life than with a relaxing massage. The therapeutic massage services and chiropractic massage therapy offered at the Oakville clinic will leave you feeling totally rejuvenated with your muscles and tissues soothed. Feeling tense? Make an appointment for massage therapy or therapeutic massage services today. The body responds to massage in two primary ways. Oakville Massage Therapy: Why does it work ? Mechanical response describes the physical changes that occur in the body. It includes improving the circulation in your body as well as relaxing tissue. Chiropractic massage therapy and therapeutic massage services help to improve the lymph and blood circulation in the body. As chemicals are released due to the relaxation response, along with the manipulation of the soft tissue, circulation within the body gets better. This is beneficial because improved circulation helps transport nutrients and oxygen through the muscle cells. Receiving massage therapy in Oakville can also help the tissues become more relaxed. When tissues are relaxed, they help reduce the amount of spasms and pain contractions in the body. Relaxation of the muscles and tissue helps reduce the compression of the nerves, and in response the nerves will get better nutrients and operate more efficiently. Relaxation response helps decrease the amount of stress that is built up in your body. This response lowers heart rate, breathing rate and blood pressure. It also helps the flow of serotonin; a chemical in the body that positively affect thoughts and emotions. 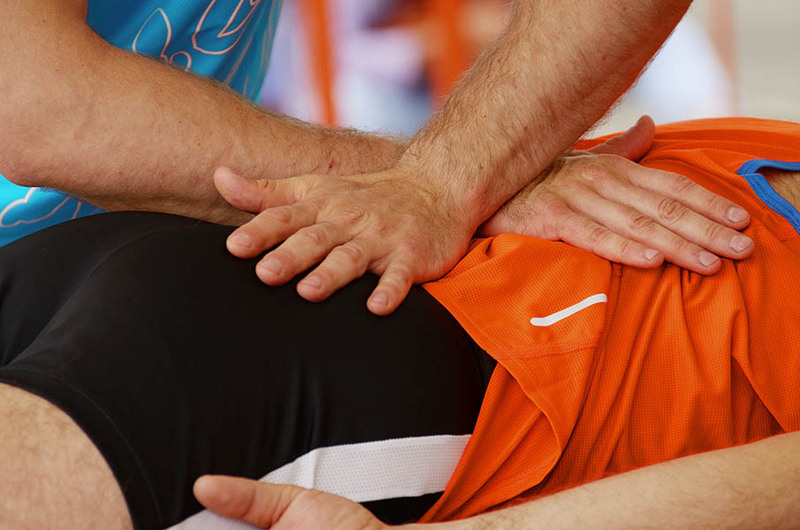 Overall, chiropractic massage therapy and therapeutic massage services are beneficial in many ways. Massage therapists at Nottinghill Family Wellness Centre will gladly help you achieve both the mechanical and relaxation responses. If you are interested in getting started with massage therapy in Oakville, or have any questions about chiropractic care, give us a call at 905-827-4197 or email us here!